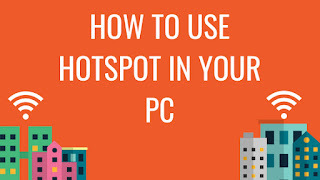 Hotspot is used to share internet connection between two devices or computers. Hotspot is used to share internet connection between two devices or computers. You can use it in you laptops, desktops, mobile devices to share your internet connection with your family and friends any where any time. If you are using windows 10 latest update than you can easily do this by searching for hotspot settings ---> set password ---> and you are good to go. But in older versions of windows 10 its not that easy and same for windows 8, 7. So in this video tutorial below i am showing you how to do it. Watch each step carefully and enjoy your hotspot with your friends and family. If you liked this tutorial show some love by subscribing my channel.